7:15 a.m. Down to Their Last Yacht (1934). Great title and premise but Leonard Maltin warns that it runs out of steam. SCREW MALTIN, THIS ONE IS AN ABSOLUTE HOOT! MARY BOLAND IS MY EVERYTHING IN THIS MOVIE! IT'S HILARIOUS, LIKE AN ALDOUS HUXLEY LEVEL SATIRE. When did we have to start WHISPERING your name, Lorna? Who do you think you are, MARTHA IVERS???? 10 p.m. Simon (1980). 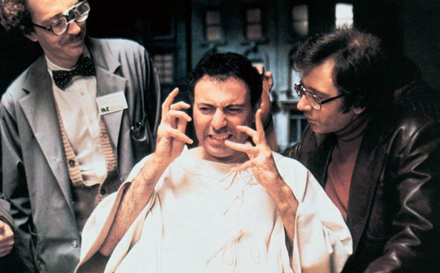 Comedy writer Marshall Brickman directs this Alan Arkin picture. Synopsis: A small-town reporter milks a local disaster to get back into the big time. Dir: Billy Wilder Cast: Kirk Douglas , Jan Sterling , Bob Arthur . 😧 Billy Wilder. Kirk Douglas, Jan Sterling, Bob Arthur, Porter Hall, Frank Cady, Richard Benedict, Ray Teal, Gene Evans. "An embittered New Mexico reporter looking for the elusive brass ring finds it when he stumbles onto a story of a man trapped in an ancient Indian ruin. Unrelentingly cynical (yet mostly believable) tale of how the reporter exploits the "human interest story" for his own benefit--and how the potential tragedy turns into a three-ring circus--has a peculiarly contemporary ring to it. Biting and extremely well acted." Still hold that in What's Up Doc (1972), airing late night tomorrow, Madeline Kahn gives one of the great debut performances in film. You wound never guess if it wasn't for the credits that it was her first film. 10 a.m. Popeye: I’m In the Army Now (1933). Another Son of Sam (1977) 2:00 AM ET - A SWAT team chases an escaped homicidal maniac! Featuring no one you've ever heard of! Shot on location in beautiful North Carolina! This one has a 3.6 score on IMDb! Nightmare Honeymoon (1974) 3:30 AM ET - A newlywed couple, including Dack Rambo, are terrorized by "rural psychos", including John Beck! Also featuring Pat Hingle, Jay Robinson, David Huddleston, Roy Jenson, Dennis Patrick, Dennis Burkley, and Bob Steele! Shot on location in beautiful Louisiana! This one has a 4.6 score on IMDb! A heads-up about tonight's (March 15) TCM Underground showings. DACK RAMBO was reaaally handsome and I knew him from his 1990's role on the NBC Soap ANOTHER WORLD. He developed AIDS and had to leave the role and died soon after. i remember his being very open and the show's being very supportive. Another World was one of the two soaps my mother watched, along with Days of Our Lives, so I saw quite a few episodes, or parts of them, over the years. I recall many of the performers and characters, and I also recall when Dack Rambo was on there, and his AIDS-prompted departure. I enjoyed Carl. He was entertainingly theatrical. Nightmare Honeymoon (1974) 3:30 AM ET - A newlywed couple, including Dack Rambo, are terrorized by "rural psychos", including John Beck! Also featuring Pat Hingle, Jay Robinson, David Huddleton, Roy Jenson, Dennis Patrick, Dennis Burkley, and Bob Steele! Shot on location in beautiful Louisiana! This one has a 4.6 score on IMDb! Jay Robinson! I bought a used copy of his autobiography The Comeback but haven't gotten around to reading it as yet. I remember flipping the channels many years ago, and spotting him on a Christian channel. I thought "hey, that's Caligula." He was talking about the book, so I read it. Well worth it. Id like to Think your mother and I would’ve gotten along really, really well. ANOTHER WORLD Was a New York show and the actors in general were excellent...The plots on the other hand could be slow as molasses...But again, the actors totally made up for it. TSM ! How about St. David’s Day ? And St. Andrews Day? Or even Canada - July 1st? There are lots of films with Canadian settings, actors or directors one could highlight. This shouldn't even be a stretch! 2 p.m. Hungry Hill (1947). Brian Desmond Hurst picture with Margaret Lockwood, Dennis Price, Jean Simmons and Eileen Herlie. Thanks for recommending Hungry Hill, Bogie. It has one really great scene, and you'll know it when it happens. Based on a novel by Daphne du Maurier. The Stanley Donen memorial tribute evening. My favourite, Bedazzled (1967) is missing from the lineup. 8 p.m. Private Screenings: Stanley Donen (2006). With host Robert Osborne. This will be the first time that this episode of Private Screenings has aired since June 2009. I wonder why TCM doesn't show Private Screenings anymore? Are they afraid somebody will tune in and think that either Robert Osborne or the person that he is interviewing is still alive? The last time they showed the Private Screenings for Walter Mirisch was the month that it first aired back in 2008! Is TCM afraid nobody would know who Walter Mirisch is? 5:30 p.m. A Slight Case of Murder (1938). 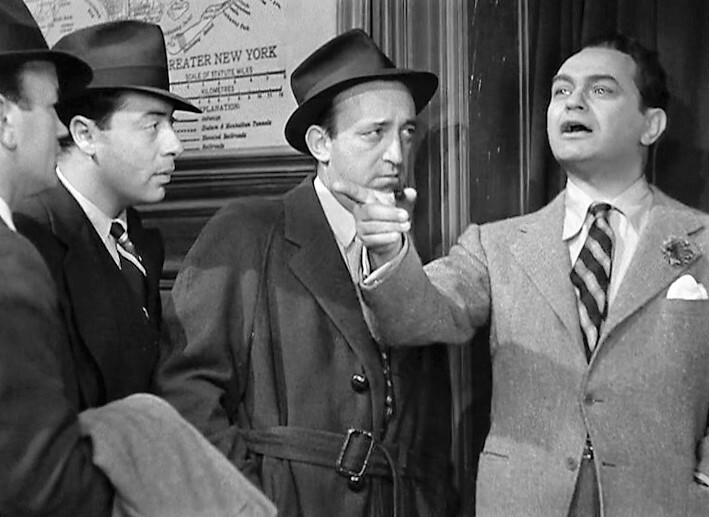 With Edward G. Robinson. For Tuesday evening: Another Part of the Forest is a prequel to The Little Foxes. If you enjoy this kind of family melodrama, and I do, it's worth checking out. 4 a.m. Alice In the Cities (1974). Really good German road movie by Wim Wenders. Beautiful film. One of my favorite Wenders' films, right up there with Wings of Desire. 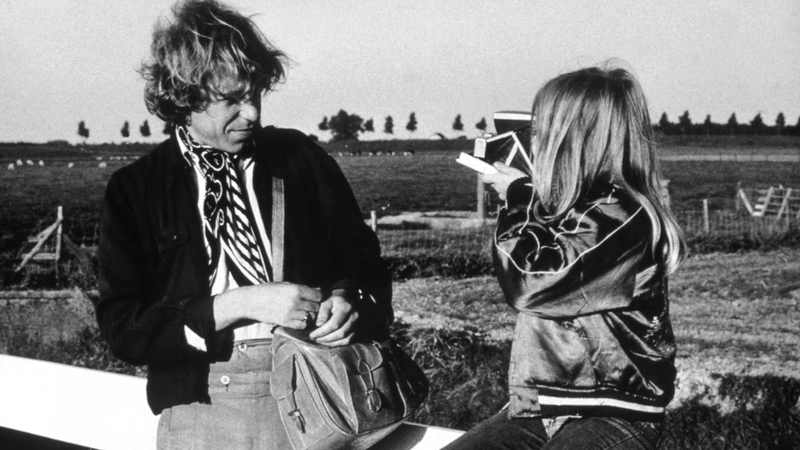 I'm a Wenders fan of films that he made in the 70's. I've seen Wimgs Of Desire three times and have tried to like it but each time I have just found it incredibly stupid and pretentious. But I appear to be alone on that one. 11:15 a.m. 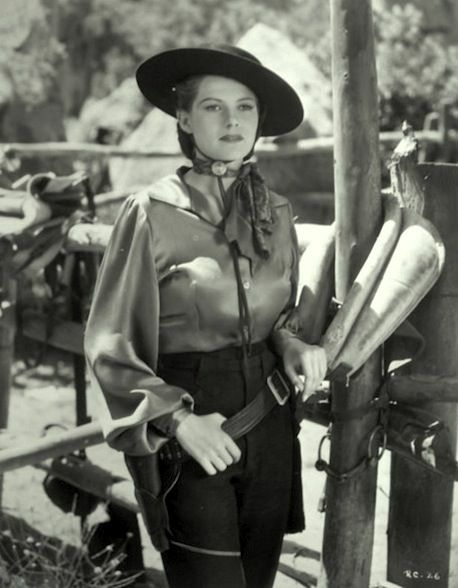 Renegade Ranger (1938). Co-starring Rita Hayworth!